Once again, as I previously mentioned on many occasions already, this is the Wild West, not the land of capitalism and over consumption. Should have said "Multiplayer-Only Wild West" because that sh*t is nothing compared to single-player fun experience. While I agree that you don't need to buy everything you unlock, you failed to mention that the UE weapons include the Pump Action Shotgun and Varmint Rifle free of charge. As a UE player I know how much of an edge that gives you over other players. It also allows you to hold off on buying other weapons so it's easy to wait for the Litchfield or Bolt Action and have cash ready to go when they unlock. Well, you're right, the single player experience is thousands times better than the online... But what are trying to say? Plus it's nice not having trolls with high powered weapons. The same ones complaining about weapon cost being too high will be the same ones that complain they are getting sniped going into town. I don't care so much that the price of guns is high. Guns (and horses) are GTA's equivalent of cars. It's understandable even if I think earning potential could be (should be) better. It's that the price of EVERYTHING is so goddamned high. Upgrades for guns, clothing, haircuts, camp upgrades, saddles, other tack, stable slots, etc. etc. etc. Hell, even RECIPES as I mentioned above. the prices there are obscene. It's not like we can use them to profit. But still,its a real hard choice getting a recipe for 500 bucks...it will take a loooong time till it pays out. If everything would pay as good as hunting there would be no problem besides gold. If you played single player then you know, having multiple versions of each weapon type is pointless. Also, you used all the custom options so going about with your troll of a character makes sense to have bare bones plain jane weapons. Bolt action acquired, however, I would like to dual weild a mauser, but I can wait. Im interested to see what the conversion rate will be on gold. You don't convert gold for cash,you buy the items for gold. Press and hold LT and it shows you the 'buy now' option for gold. Arabian horse is like 45ish gold or something. As for how much will gold cost etc? Look at Take Two Interactive's other games with microtransactions and gated content, such as NBA 2K19. Yeah. I do all those things too. I have several weapons fully upgraded and a bow, fishing pole, et al. My satchels are full to the brim with food I made, and tonics I made or looted. But I haven't bought any clothing nor will I at those horrible prices. I won't upgrade my camp due to stupidly high prices AND the fact that it keeps moving to the opposite side of the map for me. I only have some of my weapons due to an enormous head start from the UE. But, you know, I have an actual life where I actually work long hours for real things and can't play 16 hours a day. But you do you. No way you got all of that in a few days without putting in ridiculous hours. I mean, by this bulletproof 'logic', the GTAO economy is perfectly fine, too. After all, as someone who's not all that into military-grade stuff, or hypercars, or whatever, I've not needed to buy a bunker/MOC/hangar/facility/Avenger/Terrorbyte/etc. (even though the game spams me with notifications telling me to go and buy them...), so I can get buy just fine through casual play these days. OT: Granted, the economy is far from actually being "broken". But, to deny that it doesn't need some tweaking or balancing is willful ignorance. Gold per real life dollars is the only conversion rate anyone should care about. If its like shark cards, thats a hard pass. 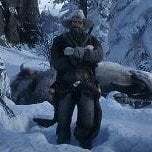 As long as work means fun work and story-driven missions, and not grinding the same mission 100 times or hunting 20 of the same animal. Okay, Strauss Zelnick. Now go back to your office. I'd agree the stranger missions needs to get a higher reward. They're actually pretty fun, but noone wanna do them as they pay out 6$-11$. You don't have to shoot 20 of the same animals to get rich though. If you do it like that, sure it'll become boring earning money. For example, i go catch my 5-10 steelheads. Then when I ride back to town, i'll shoot a buck and two smaller animals to bring to the butcher. That can easily payout 68$ , just for a quick hunting/fishing trip. Then I go to the bayou and hunt heron and the other swamp birds. I also shoot all muskrats and alligators(for teeth and big game meat).don't know how much that pays, but the birds are worth a ton of money. Besides that I do all treasure maps I can get my hand on. Most guns are way too expensive, but the Varmint Rifle is only $74 and although it's only a .22 caliber rifle, it's VERY accurate and if you're good at lining up headshots, you'll be borderline unstoppable. It is FAR better than the Carbine Rifle if you're going for headshots. And why wouldn't you be? Not to mention take it hunting a few times and you've made back the 72$ (if you know where and what to hunt).